Easy Self Storage is located off of Broadway (ST RD. 53) and Summit in Crown Point, IN. 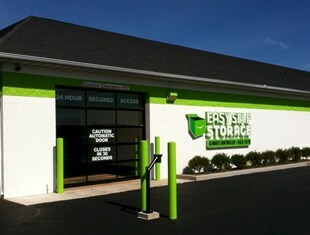 Easy Self Storage provides true climate controlled storage to meet your many business/personal needs. New! Exclusive, private entrance motorcycle bays have been added. Call for details. The 21st century way to store your things is in a climate controlled facility. Our units are new, clean, well lit, secure, and affordable and have 24 hour access. Sizes and prices starting at 5x5 and $60. Call 219-663-7870 for current availability.